While traveling, you cannot forget the daily activities like brushing, bathing etc. Teeth cleaning is one of the important aspects of keeping hygienic. In these days two types of toothbrushes are available: the traditional one(manual) and the electric toothbrushes where you won’t have to put much effort as the manual one. Before discussing them, let’s discuss how you can choose, use and store toothbrush while traveling. Whether it’s an electric or manual, the toothbrush mush fit your hand properly and should be long enough to carry out the activity daily. The bristles should be hard and comfortable for your gums so they won’t get damaged and bleed. A case is a must if you are traveling. This is because once the toothbrush is wet you cannot wait until it is completely tried because it will be a complete waste of time. Instead, you can slip it into the case where it will dry out and be ready for the next use. One other benefit of the case is that it will avoid messing with your other travel items. Also, you can keep all of your teeth cleaning items there and you are all set. I highly recommend you to buy a toothbrush case, if you don’t already have one. Believe me, It will be money well spent. If you are getting an electric toothbrush for your travel then you have to make sure that on a single charge you can go at least a week. In case, your toothbrush battery is good enough then you won’t have to carry a charger on your trip and hence less weight. If this is not a case and you have to carry a charger with you then I will recommend you to buy a USB cable so that it can be charged from a laptop or mobile charger. This will ensure that you won’t have to carry a charger that is dedicated to only charge your toothbrush. Also, keep in mind of the charging voltage. In America the standard voltage is 110v. However, in most of the other countries, the standard is 220-240v. To ensure that you are carrying the correct charger as per country standards. 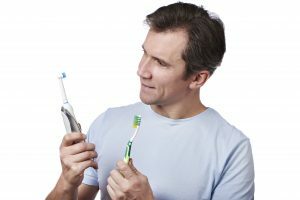 An electric toothbrush is very easy to use and requires the least effort in comparison to a manual toothbrush. Also, studies have shown that electric toothbrush does a better job of cleaning your mouth. The built-in timer ensures that you are brushing for enough time. On a manual toothbrush, you cannot do that. The main disadvantage of electric toothbrushes is that they are not easy to carry around like manual toothbrushes and requires charging. So that was all. If you have anything else that I should list here then do let me know in the comment section below. 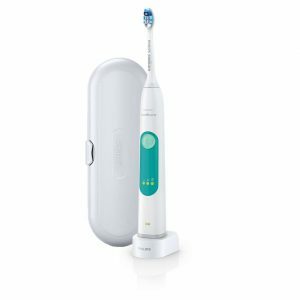 Philips Sonicare DiamondClean Electric Toothbrush is the best electric toothbrush made by Philips. You may find it a little bit costly but believe me that it is worth it. After using this toothbrush for once you will fall in love with it. In a week of proper usage, you can get a healthier and whiter teeth. It can remove 10 times more plaque than a manual toothbrush and can improve your gums health just within two weeks. The whole package contains 1 Sonicare Toothbrush handle, 1 DiamondClean brush head, 1 AdaptiveClean brush head, 1 InterCare brush head, 1 glass charger, 1 USB charging travel case with wall adapter and 3 Hygienic brush head travel caps. Oral-B Genius Pro 8000 is the best electric toothbrush made by Oral-B. It can pair with your smartphone and use facial recognition it can detect where you have brushed and where you have missed. The customizable multicolor ring will help you in real-time brushing time and pressure to brush as recommended by a dentist. 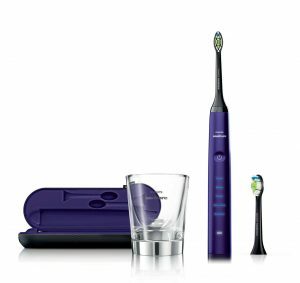 To prevent overbrushing the pressure sensor technology automatically slows brush speed to protect gums. 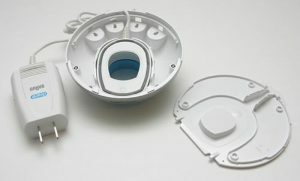 There are six modes available: Daily Clean, Gum Care, Sensitive, Whitening, Tongue Cleaning and Pro-Clean Mode. This toothbrush comes bundled with a travel case which can charge your toothbrush as well as smartphone simultaneously. Philips Sonicare 3 Series is another electric toothbrush made by Phillips that have received a great response from the customers. It can improve your gum health 2x, removes 6x more plaque than a manual toothbrush. It uses a patented technology which can provide 31000 brush strokes per minute. The battery meter which will let you know the amount of battery left. Surprisingly this toothbrush has 3-week battery life so you won’t have to carry a charger on your next trip. Also, it has three intensity settings for a comfortable brushing experience. 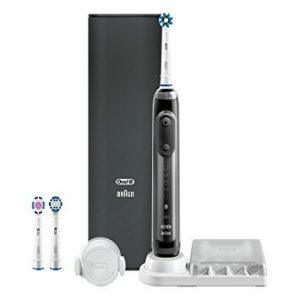 The whole package comes with 1 Philips Sonicare 3 Series toothbrush, 1 ProResults gum health brush head, 1 small charger, and 1 hard travel case. 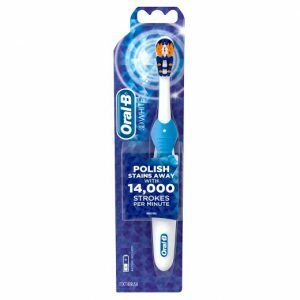 Oral-B 3D White Action Toothbrush is the best selling product on Amazon. It is due to its absolutely amazing price as well as quality. The rubberized bristles can clean and whitens the teeth by removing surface stains. It can reach deeper between teeth and remove the hidden plaque that cannot be removed by a manual toothbrush. The only problem I found with this toothbrush was its noise. The motor sound is loud but this is not a deal breaker. The battery of this toothbrush doesn’t last much longer but this may be due to its compact size. Other than that everything is perfect. 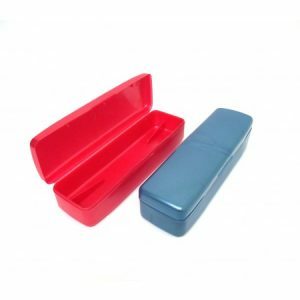 One of the hassles which carrying a toothbrush is its storage. 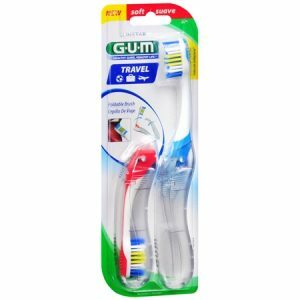 With GUM Travel Folding Soft Toothbrush you got it covered, After Usage, you can bend it and reduce it to half size. With this, you don’t even need a toothbrush case to cover the bristles while they are wet. It comes as a package of 2 toothbrushes. Bristles are coated so germs won’t grow on them after use. I found this toothbrush absolutely amazing. Let me know what you think about it in the comment section below. Instead of carrying a toothbrush that you have to clean daily after use while traveling, sometimes it is better to opt for disposable one. 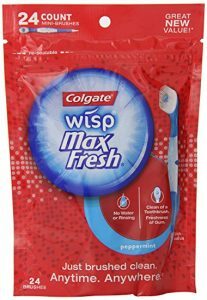 Colgate MaxFresh Wisp is a disposable travel toothbrush which you can throw away after a single usage. 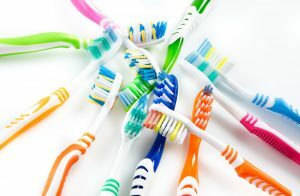 It comes in a pack of 24 toothbrushes at a very affordable price. It has built-in sugar-free peppermint bead which easily dissolves and provides freshness in your mouth. This toothbrush is very small and you may experience a problem while handling it. They are pocket-sized and portable and no water is necessary for brushing. 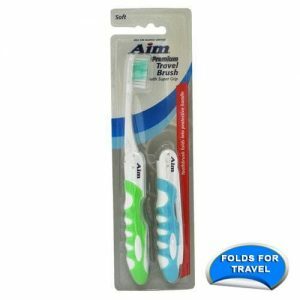 Similar to the GUM toothbrush that I discussed earlier, AIM Travel Toothbrush is also foldable. It comes in a pack of two where one is a firm toothbrush and other is the soft one. This toothbrush is clinically recommended because of its effective cleaning, plaque removal, and gum protection. The toothbrush is sturdy and durable and is made of BPA-free plastic. 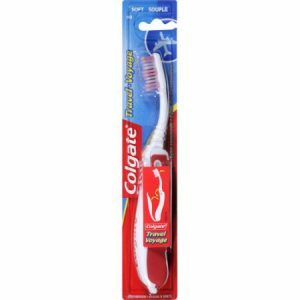 Colgate Travel Toothbrush is also a folding toothbrush which comes in the pack of 6. The provided foldable cover keeps the bristle clean and away from any type of dirt. Two level of bristles provides deeper cleaning in the teeth. However, the quality of the toothbrush is not the best but it does justify its price. The head of the toothbrush is not that flexible. This may annoy some people but I am not one of them. So this was my list of all the popular manual and electric toothbrush presently available. Now I left the choice to you. Let me know your experience if you have used any of the above products.